Ron Hubbard: I want to give a small comment nothing else. Every day, every week, astronomers capture new exoplanets - extrasolar planets outside of our solar system - and since they are pessimistic, they say that 99% of the captured planets are gas giants like Jupiter and Saturn and it is logical that it be in this way because generally the rocky planets like Mercury, Venus, the Earth, Mars , Pluto or Quaoar or Eris or others, for their tiny size are impossible that they be captured. It is a matter of common sense. That is to say, I don't doubt of the great intelligence of most of the astrophysicists and astronomers, not at all, but it is like they sometimes don't use their common sense. It is logical that it is much easier to capture gas giants that are three times, four times, ten times the size of Jupiter compared to tiny planets like the Earth, is absolutely logical. For that reason these exoplanets are not captured, not because they are not there, otherwise with that approach, there would not be civilizations in the whole galaxy and we know that it is not like that, we know positively because we are not based on faith like those that are incarnated, we are based on what we know and what we know we transmit it. There are thousands and thousands of civilizations only in our galaxy Milky Way, thousands and thousands of civilizations and the great majority of them are based on rocky planets, and I say the great majority because there is also life in gas giants, life I spoke about once and sometimes we talked about the life forms in these planets. There are essays written by authors in Sun 3, who have spoken about the possibility of life in gas giants. What happens is that sometimes the embodied being, homo sapiens, inside his extent has a paradox that in some things he is so narrow, so mentally narrowed that he cannot conceive that a different type of life could exist, a life form which is different from the one he knows. And it’s there. And there is life in methane seas and there is life also in absolutely unbreathable atmospheres for you. Dear professor Olguin: I wanted to ask you about Orion. What do you mean when you mention planets like Orion 3 and Orion 4? I have looked for in some stellar map and the only thing that I could find is the Orion Constellation, which has stars that appear like: Betelgeuse, Bellatrix, Rigel, Mintaka, Alnilam and Saiph. You have mentioned that some of them have inhabited planetary systems. When the Masters of Light spoke about Orion, they referred to the system of the star Rigel also known as Beta Orionis at 540 light years from Earth. 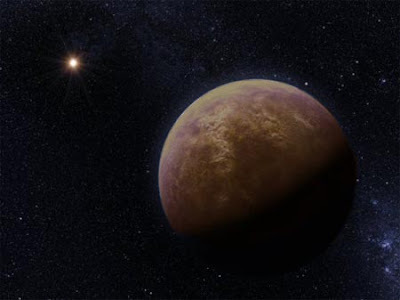 (Proxima Centauri belongs to the same constellation and it is much closer to the Sun than Rigil). This entry was posted at Wednesday, January 13, 2010 and is filed under Science and Astronomy . You can follow any responses to this entry through the .